Regarded among the best European festivals, the Salzburg Festival is the performing summer event that transforms the enticing city into a rocking stage for the music as well as drama lovers. The concerts, dramas, and Opera form the main attractions of the event to great commendation rendering the fiesta as the esteemed celebration to witness. 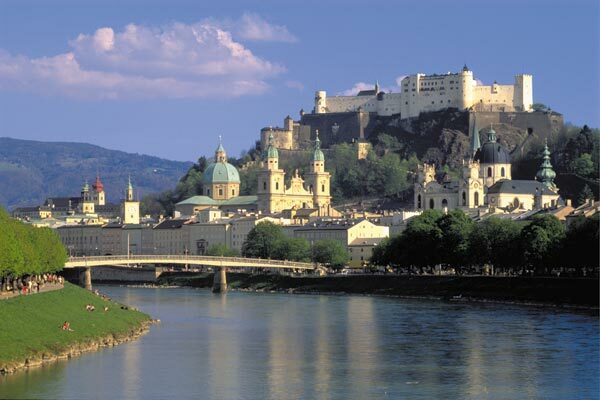 As the name says, the Salzburg Festival is held in the Salzburg city of Austria, the wonderful town nestled in the west featuring a soaking alpine setting for the event. Starting mostly in July, the fiesta continues for as long as five weeks, which means over a month celebration offering abundant chances to rock and soak in its shows as well as performances. The Salzburg Festival is a salute to drama as well as music that unveils a few ideal and unmatchable compositions and playwrights. The three main attractions mentioned above are its three components. As per the tradition, a performance of the ‘Jedermann’ or ‘Everyman’ play marks the first/opening show of the festival, which takes place in the Cathedral Square. This is the most classic play held on the Domplatz so that it can include the famous Salzburger Dom facade in the play. Mostly Played by the popular German as well as Austrian theatre actors such as Alexander Moissi and Klaus Maria Brandauer; this play offers the opportunity of playing among the most esteemed stage roles for an actor. It is based on the 16th century ‘moral plays’ and reveals the tale of the wealthy patrician Jedermann who always revered his wealth instead of god and that how on the way to God (death), he was comforted because of his some good deeds. The dialogues are based according to the allegoric figures like the faith, riches, and evil. It goes without saying that this play is responsible for the huge success of the Salzburg Festival since 85 years. 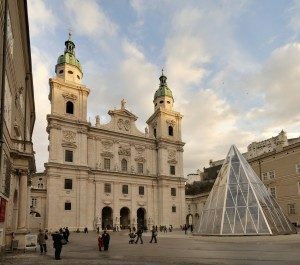 And yes, the spectators just love the superb facade of the Salzburger Dom along with the colorful costumes that give an insight of the attractive Baroque festivals of the past. Since the event is celebrated for five weeks, each day is a mix of new and repeated performances, which means that you will be guaranteed to enjoy a few new performances daily along with the repeated schedule daily. But, this does not mean that the festival’s line-up does not change each year. For example, in 2010, one of the new attractions was ‘A Midsummer Night’s Dream’ by Shakespeare, but there was limitless access to the ‘Everyman’ show along with a variety of Vienna Philharmonic performances. For those who love Opera, Mozart’s ‘Don Giovanni’, Strauss’s ‘Elektra’, Gounod’s ‘Romeo et Juliette’, and Wolfgang Rihm’s ‘Dionysus’ had been made live during the Salzburg Festival. None of the performances at the Salzburg Festival can be seen without the tickets. These entry visas are sold well in advance before the festival starts because of the popularity of the event. So, it is advisable to book the tickets as well as the accommodations as soon as possible. You can do so either the festival’s official Web site or through a reliable travel agency.